We look forward to seeing you at the International Society for Cellular Therapy (ISCT) 2018 in Montréal, Canada, May 2–5, 2018. Visit Miltenyi Biotec at booth 415 to learn about our latest technologies and workflows for cellular therapy firsthand. 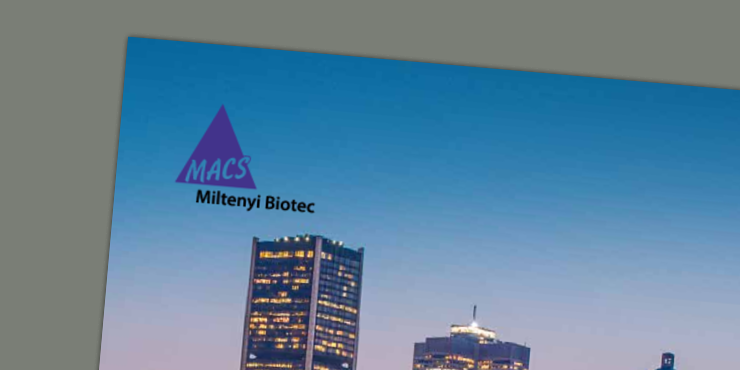 Also, make sure to join our poster session to discuss with our R&D specialist about our new automated BM-MSC preparation process, from density gradient centrifugation of bone marrow aspirate to MSCs feeding and harvesting, using the integrated cell processing platform CliniMACS Prodigy®. May 3, 2018, 5:30 p.m.–7:00 p.m.
Download our full program for ISCT 2018 and visit our symposium, CliniMACS Prodigy® Workshops, and product theater to learn more about our complete solutions for commercial-scale manufacturing.